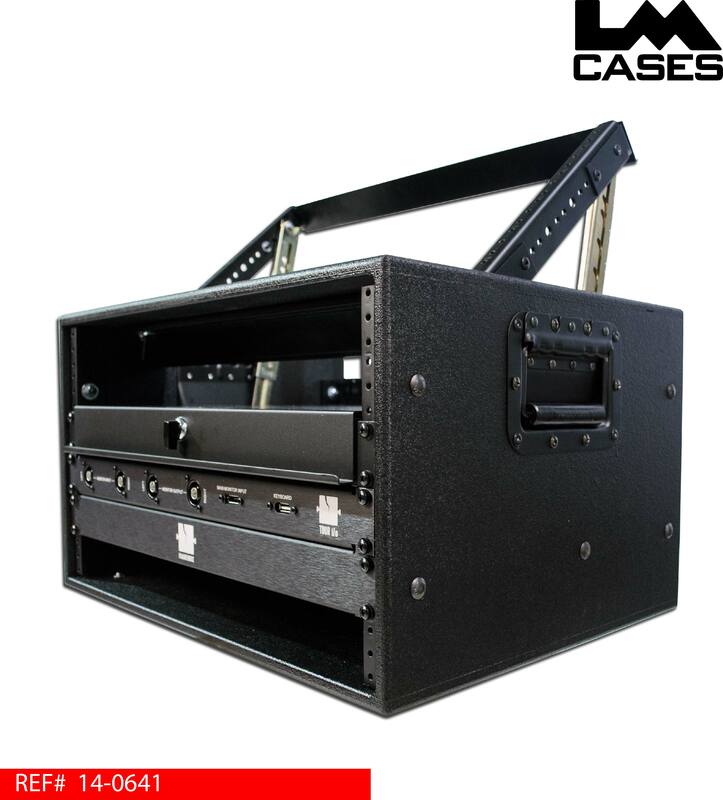 This rack was designed to hold a Black Magic SmartView HD rack mounted monitor and support equipment as the control element of a touring media server package. The rack is 6RU tall with a tiltable rack section that holds the monitor. 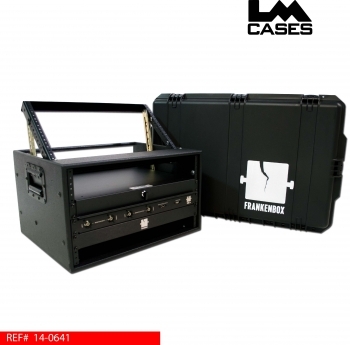 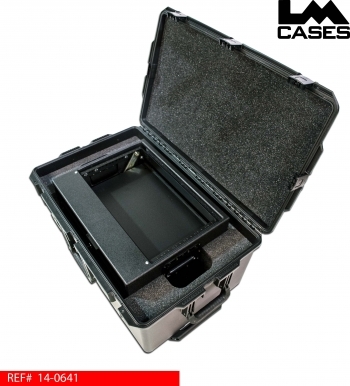 The rack unit is stored in a Pelican Storm iM2975 waterproof case with a custom silkscreen of our customers logo. 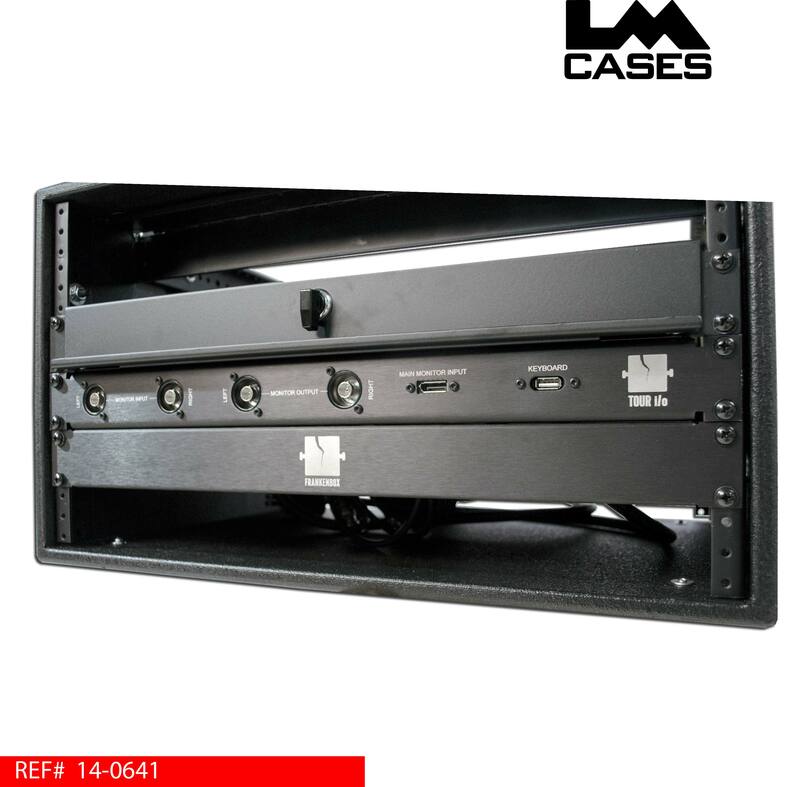 Housed in the rack is a custom power distro, video input panel and blank logo panels created by the LM Cases Custom Integration Department. 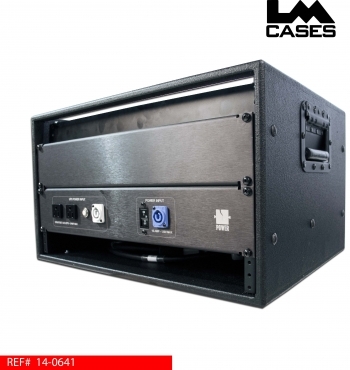 The power distro features a Powercon input tied to a 20amp breaker, the Powercon input feeds a duplex outlet on the back of distro that supplies a UPS mounted in the bottom space of the rack. The distro features a 2' 12AWG Edison plug that plugs into the UPS that feeds a gray Powercon output to feed other racks as well as a duplex courtesy outlet. The front mounted duplex power outlet is tied to a 5 amp breaker which prevents users from using high load drawing equipment. 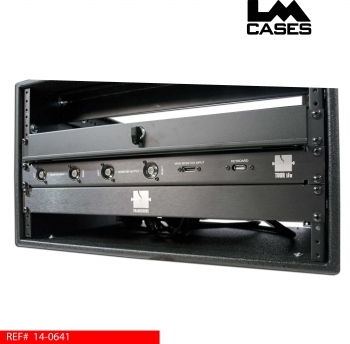 The video input panel features 2 - SDI input and output jacks to feed the monitor as well as a Displayport and USB 2.0 jack. All panels are made from .125" thick aluminum that is flanged and black anodized for strength and durability. 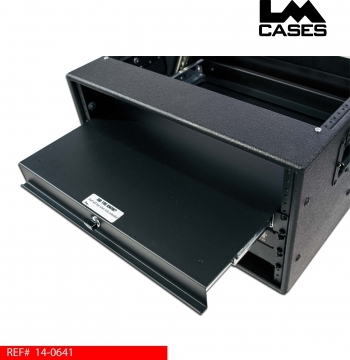 All labels and logos are laser etched on the panels.